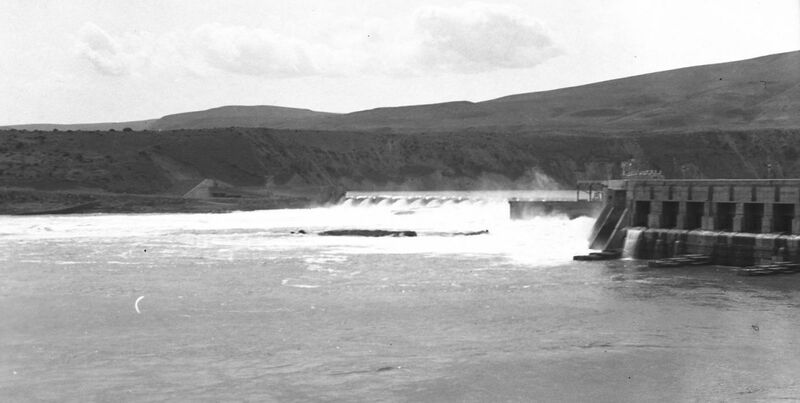 The dam was completed as we know it today in 1976. 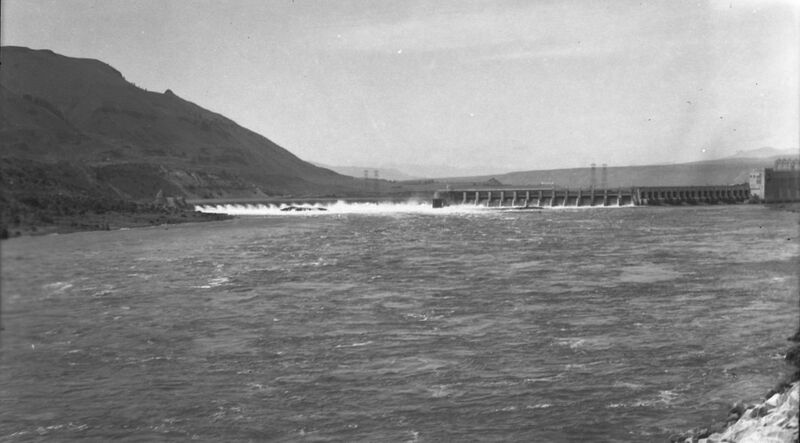 It's completion, as shown in the photos, happened in 1933. The first picture seems to show what is left of the construction roaroad diipping down along the line of trees, now protected by a dike of some sort.